Castiel and Meg. TV Couples Icontest, Theme: Comic Book Text. 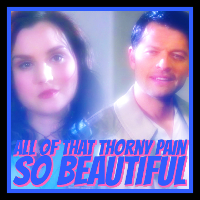 Images in the Castiel club tagged: photo supernatural castiel meg masters.